It’s good to see you again! I’m glad you came back for more of Cision’s best webinar practices. 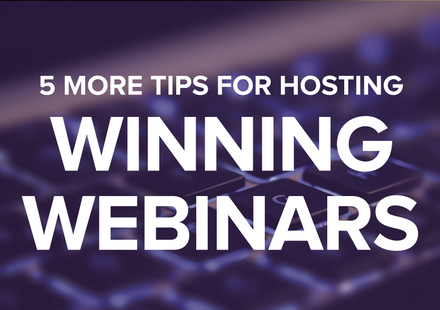 Previously, I discussed best practices for planning and promoting your webinar. Now it’s time for the day-of webinar best practices. In this post, you’ll learn how to approach the actual webinar day, handle tricky questions and keep the conversation alive post-webinar. No matter how many times you rehearse the webinar, check the slides or test your Internet connection. Something can go awry; prepare a Plan B for it all. Are you doing a screen share of your product? Make sure you have a backup deck of screenshots in case the system goes down. Are you calling from a phone in that one conference room no one uses? Make sure you have a backup phone in case the phone decides to mysteriously drop your call. Have a second computer available and logged in – if for some reason the primary computer decides to stop working. Technology can never be predicted, but with a back-up plan for everything, your webinars will go smoothly. You’ve planned it out, promoted it, rehearsed and now the go-live day has arrived. Make sure that the presenter, moderator and technical assistant all log on 30 minutes prior to the presentation. This ensures enough time to check the sound quality, make sure the slides are in the correct order and get out those last minute jitters! You don’t want to be stuck in the mud by logging on right before to find out the slide deck mysteriously rearranged itself. Nothing is more cringe worthy than when it is time to get to the Q&A session and no one sent in a question through the webinar platform’s chat. The moderator sits there pleading for participants to write in and then a few seconds of awkward silence ensue. You can prevent this from happening! Always have a minimum of three loaded questions in your back pocket for a day when the audience just isn’t that chatty. You can also ask your social media manager to pull in questions from social media. You’ve gotten through it all, congratulations! You’ve held a webinar that you would consider a success, but how do you really know if it was? What needs to be improved? It’s simple – create a short survey that will pop-up once the webinar ends. Keep it simple with 4-5 questions. Use the feedback to improve your webinar process. In one of our recent surveys, an attendee wrote in that they wished they could see the presenter. This led us to trying out our very first webcast with K.C. Brown – which opened a whole new avenue of holding an in-person event and a streaming webinar to reach a larger audience. Surveys are also a quick way to gain feedback for possible future topics. Below we’ve listed the standard questions that Cision webinars ask. Try them out and run wild with the feedback. 1. How would you rate the webinar overall? 2. Was the content relevant to you? 3. Are there any additional webinar topics you would like to see? If so, which topics? 4. Do you have any additional comments? Follow-up should be done in a timely manner. No one wants to receive the recording a week after a webinar; they most likely have forgotten about it by then. Try to send a follow-up “thank you for attending” or “sorry we missed you” email 24-48 hours after the webinar concludes. This will keep the webinar fresh in the mind of the contact and give sales an edge to follow-up and start building a relationship with that contact. Pro Tip: If all the answers in the Q&A were unable to be answered in the webinar timeframe, turn them into a blog post. Take advantage of the opportunity to repurpose content and gain more traction in the market. Get more pro tips that will help build your content’s momentum with our white paper The 3 Stages of Expanding Your Content’s Reach: Creation, Distribution and Amplification. Download this free guide for step-by-step instructions for crafting, sharing and repurposing effective content. Marissa Jambrone is an Events Manager with Cision. 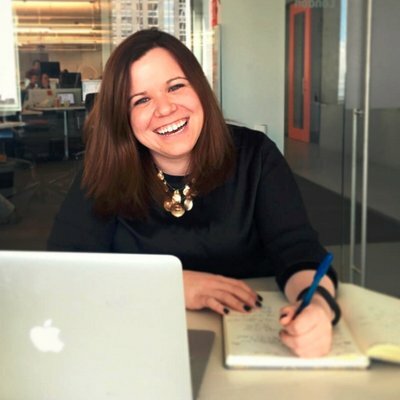 When not planning Cision's most recent webinar/event or keeping tabs on the latest marketing trend, you can find her exploring the Chicagoland area, reading anything she can get her hands on, and patiently waiting for her Hogwarts acceptance letter. Follow her on Twitter @MarissaJambrone.